This is the second book review I’ve posted this year. both are debut novels published by Louise Walters Books. The first was by Laura Laakso. Book Blurb … Once upon a time Gabrielle Price wrote and published an extraordinary novel. But twenty years on her literary star has dimmed, her “work of genius” is all but forgotten, and no further novels have materialized. She now lives an unremarkable life: middle-aged, living alone in the sleepy village she grew up in, and working as a housekeeper for the local vicar. Her lonely existence is dominated by memories of her best friend Madeleine, who died young, in tragic and mysterious circumstances. Gabrielle’s quiet world is turned upside down when she meets and befriends Simon – young, attractive, a would-be writer, and enthusiastic fan of the astonishing novel that Gabrielle published all those years ago. Charmed and flattered, she recklessly invites him into her home and her heart. But Simon is mysterious and manipulative, and it’s not long before he forces Gabrielle to confront the demons in her past. Gabrielle’s obsession begins to destroy her carefully cultivated life, and she comes to feel increasingly threatened by Simon’s presence. Who is he? Why did he seek her out? And what does he really want? 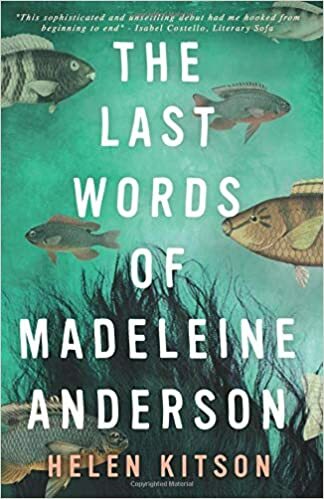 EDC Review … I received an advanced reading copy of ‘The Last Words of Madeleine Anderson’ from Louise Walters at Louise Walters Books without obligation – this review is how I read it. 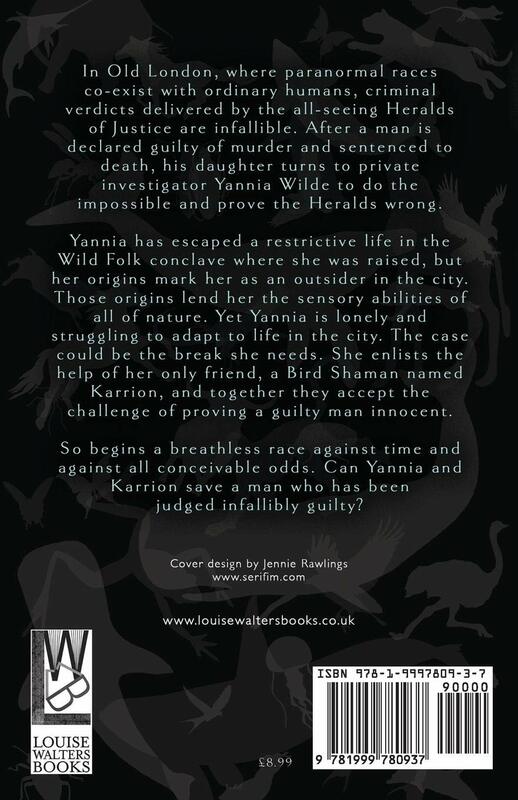 The back cover blurb sets the story up well; it is accurate, enticing and doesn’t spoil in any way. The front cover I found intriguing and on reading the book its relevance sank in. From the start, it was obvious the author, Helen Kitson, is an accomplished writer. Her style a balance between literary and psychological fiction; with a well judged tilt towards good story telling. Balance is the key word for me; of pace and description, of past and present, of what thought and said, of living with memory and irrational desire – and as the reader, taking in the moment and not thinking too far ahead. I got a real sense of the author writing the book she wanted to read; and her publisher too – another balance well made. I’ve been trying to think of a book, a writing style this reminds me of, I can’t–it’s a book by Helen Kitson – enjoy. For me, reading Fallible Justice was a sensory experience. 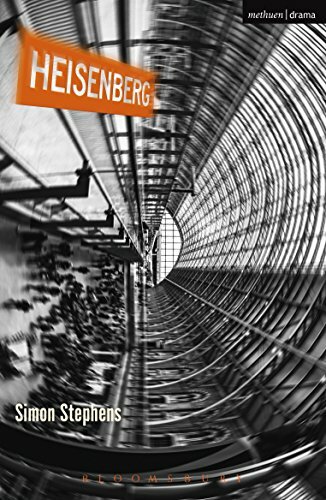 The front cover an eye catching work of art that captures the essence of the story; the back cover blurb an accurate, enticing summary – which rightly stops short of giving too much of the story away – there is no need to repeat, or spoil, by saying more here. Yes, this is a crime investigation story, yet the like of which I’d not read. The first paragraph enthrals, the first chapter fires your mind with beyond human imagery – then sets the scene o f the story, contemporary England, London, familiar, yet not; the paranormal co-existing with the normal, autonomy within reason, within limits of human acceptability. The story plays out over just a few days, Sunday to Friday, each chapter titled, a nice touch, though no enticement needed as I found the pace, the characters, their interactions, the locations, the sense of familiarity, all so absorbing, so well handled, so balanced, that each chapter end merely cause for momentary pause, the writing, it’s style, the imagery, the tension compelling me to read on. 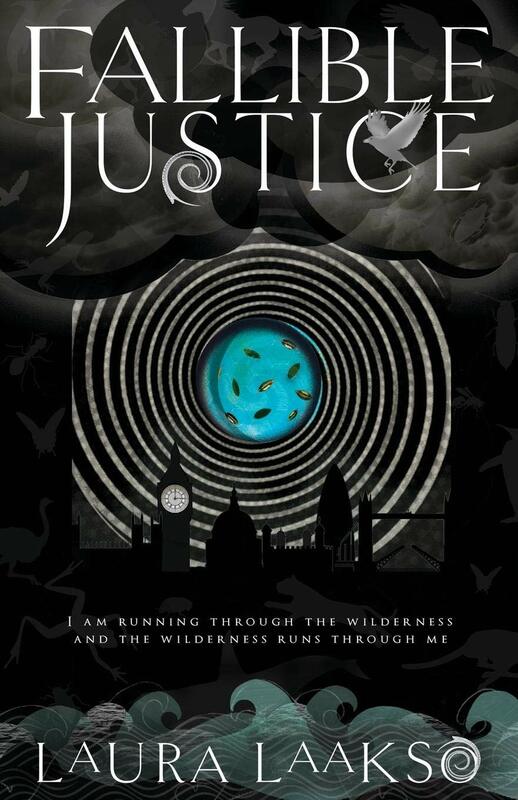 Fallible Justice is author, Laura Laakso’s debut, the first book of the Wilde Investigations series – I’m spellbound, and sure to read the next book, Echo Murder, to be published in June 2019. I tell you – I wish I could write a review like this! To my mind ‘Ray’ is one of the most original (albeit quite bizarre! ) bloggers out there! Breaking News & Top Stories of the week: Harry Potter’s Owl have been murdered. And to find out who is that freak all you have to do is to read the novel ‘The Owl Always Hunts at Night’ , because Samuel Bjork knows who DID IT. Everything in this book is upside down and inside out. Yeah, you know those crime-novels where everybody is involved and you are drowning between the non-stop-arriving (literally from nowhere) new heroes. And then, of course, the Bad Guy shows up at the end – Voilà! And you are like a stupid chicken, pretending she can fly – ah, I knew …you’ve been there all the time! But the Truth is – he hadn’t. ‘Sinister Dexter’ the third of the Porter Girl novels is an immensely enjoyable read ; all the more so having read the two that came before – ‘First Lady of the Keys’ and ‘The Vanishing Lord’. Author Lucy Brazier sets all eyes upon Deputy Head Porter as she strives to uphold the honour of Old College – despite the machinations of The Bursar – jeopardising her position and even more alarming her need of tea. Two young bodies found at the bottom of the Old College garden, quite disturbing, unsettling the students, the staff, to a degree, not least the ever present Dean – though in his case tempered by having to yet again indulge the police. Deputy Head Porter finds herself the go-between (and all too often the go-without when it comes to tea and sausages) – the link of reason (all things are relative) – dealing with the ‘never wrong, yet not quite right’ Dean, the ‘all seeing, all hearing’ Detective Chief Inspector Thompson, and the’ distracted, not always there’ Head Porter – to name a few! And therein lies the beauty of this story – the interplay of characters, the creation of images, the deft balance of sensitivities, emotions, humour and the bizarre – all sublime – and best of all exposure to what goes on in Deputy Head Porter’s mind! I’ve a mind to read again and will. 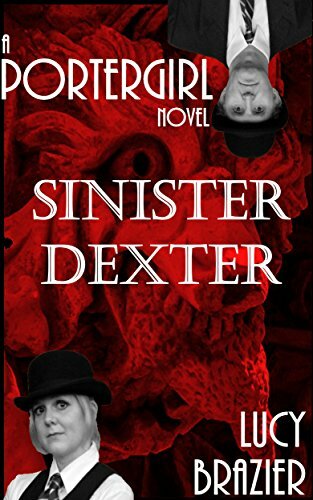 Exciting times – the third PorterGirl novel ‘Sinister Dexter’ by Lucy Brazier to be published on 27th April. Here’s my take on the first two novels – both a joy to read. A debut, a blog become novel, imaginative fiction underpinned by unique experience, a literary phenomenon I believe. Lucy Brazier, an author to look out for. No spoilers here, her guile layering intrigue, mystery, tension, threat and the bizarre laced with humour all the more enjoyable, more involving, more gob-smacking good when you think you know but don’t know what’s coming. Lucy tells a very good story. A woman, against the odds, Deputy Head Porter, the first of her kind amongst Fellows of Old College, a world steeped in tradition and when deemed appropriate, the darker arts. She’s dressed the part, bowler hat atop buttoned curves, not unnoticed, but more an inquisitive mind, kindness live-wired, and the disturbed peculiar give cause to fear for her. Atmospheric prose create images of tranquillity, touching philosophical moments have you thinking too, then with a quite literal ‘bugger this’ she’ll take you places she can’t resist, but decidedly best not for her to be. I thoroughly enjoyed this, the first of the PorterGirl novels, may they long continue, and Lucy have the success her talent deserves. In ‘The Vanishing Lord’ the second of the PorterGirl novels Deputy Head Porter has found her feet – even when disguised as a flighty girl in killer heels! So many scenes Lucy has brought to life in her inimitable way, framed and hung around a missing painting … with a touch of medieval spice … don’t ask just read! Deputy Head Porter, bowler hat and waistcoat her usual attire, the ‘first lady of the keys’ at Old College, a world of doors and gates, dark passages , tea and whisky, secrets and mischievous ways … a world in which everyone knows and known by their place. Such characters, from The Master to the Bedders … all slightly to the downright quirky! None more so than The Dean, a triumph of imagination, he steals every scene he’s in. And then there are the outsiders – the police, so inconveniently tenacious, and an excitable young man with thighs … no spoilers … I’ll let Lucy tell you … this novel, as the first one, such a joy to read. Relationships, male/female, non-familial, all guises, their nuances, their strangeness, a fascination. None more so than the unexpected, the hard to believe, yet do … this play is this. An age-gap, a May-December kind of thing, this thing though quite extraordinary, I’ve not read anything quite like this before. Beyond labels, this relationship speaks for itself, complex yet simple, compelling, frankly stunning the way ‘hers & his’ words play out. I’m already wondering how many times I will read this in my life, it is influencing my own take on relationships in words. The London production is on stage now, October … I can’t wait to see and above all hear the brilliance of this.